"Greek coins" and "Greek coinage" redirect here. For modern Greek euro coins, see Greek euro coins. The history of ancient Greek coinage can be divided (along with most other Greek art forms) into four periods, the Archaic, the Classical, the Hellenistic and the Roman. The Archaic period extends from the introduction of coinage to the Greek world during the 7th century BC until the Persian Wars in about 480 BC. The Classical period then began, and lasted until the conquests of Alexander the Great in about 330 BC, which began the Hellenistic period, extending until the Roman absorption of the Greek world in the 1st century BC. The Greek cities continued to produce their own coins for several more centuries under Roman rule. The coins produced during this period are called Roman provincial coins or Greek Imperial Coins. The three most important standards of the ancient Greek monetary system were the Attic standard, based on the Athenian drachma of 4.3 grams of silver and the Corinthian standard based on the stater of 8.6 grams of silver, that was subdivided into three silver drachmas of 2.9 grams, and the Aeginetan stater or didrachm of 12.2 grams, based on a drachma of 6.1 grams. The word drachm(a) means "a handful", literally "a grasp". Drachmae were divided into six obols (from the Greek word for a spit), and six spits made a "handful". This suggests that before coinage came to be used in Greece, spits in prehistoric times were used as measures in daily transactions. In archaic/pre-numismatic times iron was valued for making durable tools and weapons, and its casting in spit form may have actually represented a form of transportable bullion, which eventually became bulky and inconvenient after the adoption of precious metals. Because of this very aspect, Spartan legislation famously forbade issuance of Spartan coin, and enforced the use of iron ingots, called pelanoi in order to discourage avarice and the hoarding of wealth. In addition to its original meaning (which also gave the diminutive "obelisk", "little spit"), the word obol (ὀβολός, obolós, or ὀβελός, obelós) was retained as a Greek word for coins of small value, still used as such in Modern Greek slang (όβολα, óvola, "monies"). Ionia, Uncertain city (possibly Kyme, Aeolis) 600-550 BC, Hemiobol. Horse head, rough incuse. The earliest known electrum coins, Lydian and East Greek coins found under the Temple of Artemis at Ephesus, are currently dated to the last quarter of the 7th century BC (625-600 BC). These coins were issued either by the non-Greek Lydians for their own use or perhaps because Greek mercenaries wanted to be paid in precious metal at the conclusion of their time of service, and wanted to have their payments marked in a way that would authenticate them. These coins were made of electrum, an alloy of gold and silver that was highly prized and abundant in that area. "So far as we have any knowledge, they [the Lydians] were the first people to introduce the use of gold and silver coins, and the first who sold goods by retail"
Silver stater of Aegina, 550-530 BC. Obv. Sea turtle with large pellets down center. Rev. incuse square with eight sections. After the end of the Peloponnesian War, 404 BC, Sea turtle was replaced by the land tortoise. Silver drachma of Aegina, 404-340 BC. Obverse: Land tortoise. Reverse: inscription ΑΙΓ[ΙΝΑΤΟΝ] ([of the] Aeg[inetans]) "Aegina" and dolphin. The Greek world was divided into more than two thousand self-governing city-states (in Greek, poleis), and more than half of them issued their own coins. Some coins circulated widely beyond their polis, indicating that they were being used in inter-city trade; the first example appears to have been the silver stater or didrachm of Aegina that regularly turns up in hoards in Egypt and the Levant, places which were deficient in silver supply. As such coins circulated more widely, other cities began to mint coins to this "Aeginetan" weight standard of (6.1 grams to the drachm), other cities included their own symbols on the coins. Athenian coins, however, were struck on the "Attic" standard, with a drachm equaling 4.3 grams of silver. Over time, Athens' plentiful supply of silver from the mines at Laurion and its increasing dominance in trade made this the pre-eminent standard. These coins, known as "owls" because of their central design feature, were also minted to an extremely tight standard of purity and weight. This contributed to their success as the premier trade coin of their era. Tetradrachms on this weight standard continued to be a widely used coin (often the most widely used) through the classical period. By the time of Alexander the Great and his Hellenistic successors, this large denomination was being regularly used to make large payments, or was often saved for hoarding. Archaic Greek coinage seems to have had a very wide circulation in the Achaemenid Empire. Many of them were discovered in coin hoards throughout the Achaemenid Empire such as the Ghazzat hoard and the Apadana hoard, and also very far to the East, such as the Kabul hoard or the Pushkalavati hoard in Ancient India, following the Achaemenid conquest of the Indus Valley. Generally, Greek coins (both Archaic and early Classical) are comparatively very numerous in the Achaemenid coin hoards discovered in the East of the Achaemenid Empire, much more numerous than Sigloi, suggesting that the circulation of Greek coinage was central in the monetary system of those part of the Empire. Electrum coin from Ephesus, 620-600 BC. Obverse: Stag grazing right, ΦΑΝΕΩΣ (retrograde). Reverse: Two incuse punches, each with raised intersecting lines. Archaic coin of Thasos, circa 500-463 BC. Archaic coin of Chios, circa 490-435 BC. Earlier types known. Archaic Aegina coin type, "windmill pattern" incuse punch. Circa 510-490 BC. Athens coin (Circa 500/490-485 BC) discovered in the Shaikhan Dehri hoard in Pushkalavati, Ancient India. This coin is the earliest known example of its type to be found so far east. Reverse: the owl of Athens, with an olive sprig and the inscription "ΑΘΕ", short for ΑΘΕΝΑΙΟΝ, "of the Athenians"
Reverse: a racing quadriga, its charioteer crowned by the goddess Victory in flight. The Classical period saw Greek coinage reach a high level of technical and aesthetic quality. Larger cities now produced a range of fine silver and gold coins, most bearing a portrait of their patron god or goddess or a legendary hero on one side, and a symbol of the city on the other. Some coins employed a visual pun: some coins from Rhodes featured a rose, since the Greek word for rose is rhodon. The use of inscriptions on coins also began, usually the name of the issuing city. The wealthy cities of Sicily produced some especially fine coins. The large silver decadrachm (10-drachm) coin from Syracuse is regarded by many collectors as the finest coin produced in the ancient world, perhaps ever. Syracusan issues were rather standard in their imprints, one side bearing the head of the nymph Arethusa and the other usually a victorious quadriga. The tyrants of Syracuse were fabulously rich, and part of their public relations policy was to fund quadrigas for the Olympic chariot race, a very expensive undertaking. As they were often able to finance more than one quadriga at a time, they were frequent victors in this highly prestigious event. Syracuse was one of the epicenters of numismatic art during the classical period. Led by the engravers Kimon and Euainetos, Syracuse produced some of the finest coin designs of antiquity. Amongst the first centers to produce coins during the Greek colonization of mainland Southern Italy (Magna Graecia) were Paestum, Crotone, Sybaris, Caulonia, Metapontum, and Taranto. These ancient cities started producing coins from 550BC to 510BC. Aegina coin type, incuse skew pattern. Circa 456/45-431 BC. Coin of Akanthos, Macedon. Circa 470-430 BC. Coin of Aspendos, Pamphylia, circa 465-430 BC. Coin from Korkyra. Circa 350/30-290/70 BC. Coin of Cyprus, circa 450 BC. Gold 20-stater of Eucratides I, the largest gold coin to have survived from Antiquity. Drachma of Alexandria, 222-235 AD. Obverse: Laureate head of Alexander Severus, KAI(ΣΑΡ) MAP(ΚΟΣ) AYP(ΗΛΙΟΣ) ΣЄY(ΑΣΤΟΣ) ΑΛЄΞΑΝΔΡΟΣ ЄΥΣЄ(ΒΗΣ). Reverse: Bust of Asclepius. The Hellenistic period was characterized by the spread of Greek culture across a large part of the known world. Greek-speaking kingdoms were established in Egypt and Syria, and for a time also in Iran and as far east as what is now Afghanistan and northwestern India. Greek traders spread Greek coins across this vast area, and the new kingdoms soon began to produce their own coins. Because these kingdoms were much larger and wealthier than the Greek city states of the classical period, their coins tended to be more mass-produced, as well as larger, and more frequently in gold. They often lacked the aesthetic delicacy of coins of the earlier period. Posthumous Alexander the Great tetradrachm from Temnos, Aeolis. Dated 188-170 BC. Obverse: Alexander the Great as Herakles facing right wearing the nemean lionskin. Reverse: Zeus seated on throne to the left holding eagle in right hand and scepter in left; in left field PA monogram and angular sigma above grape vine arching over oinochoe; ALEXANDROU vertical in right field. Reference: Price 1678. 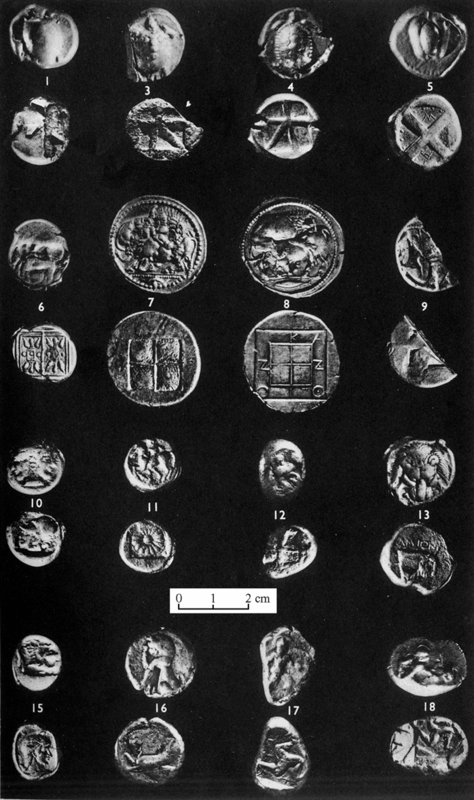 Still, some of the Greco-Bactrian coins, and those of their successors in India, the Indo-Greeks, are considered the finest examples of Greek numismatic art with "a nice blend of realism and idealization", including the largest coins to be minted in the Hellenistic world: the largest gold coin was minted by Eucratides (reigned 171–145 BC), the largest silver coin by the Indo-Greek king Amyntas Nikator (reigned c. 95–90 BC). The portraits "show a degree of individuality never matched by the often bland depictions of their royal contemporaries further West" (Roger Ling, "Greece and the Hellenistic World"). The most striking new feature of Hellenistic coins was the use of portraits of living people, namely of the kings themselves. This practice had begun in Sicily, but was disapproved of by other Greeks as showing hubris (arrogance). But the kings of Ptolemaic Egypt and Seleucid Syria had no such scruples: having already awarded themselves with "divine" status, they issued magnificent gold coins adorned with their own portraits, with the symbols of their state on the reverse. The names of the kings were frequently inscribed on the coin as well. This established a pattern for coins which has persisted ever since: a portrait of the king, usually in profile and striking a heroic pose, on the obverse, with his name beside him, and a coat of arms or other symbol of state on the reverse. The Hellenistic period conventionally ends with the Battle of Actium in 31 BC, although a few Hellenistic rulers are known in India until the reign of the Indo-Greek King Strato III (ruled c. 25 BC to 10 AD), who issued the last Hellenistic coinage. Many Greek communities in the eastern half of the Roman empire continued to issue their own coinages, known as Roman provincial coinages or 'Greek Imperials' in older scholarship, until the third century AD. Seleucus Nicator (312-281 BC), Ai Khanoum. Antiochus I (281–261 BC), Ai Khanoum. Antiochos II (261-246 BC), Ai Khanoum. Coin of Indo-Greek king Antialcidas (105–95 BC). Coin of Agathocles of Bactria with Hindu deities, circa 180 BC. Coin of Apollodotus I, Indo-Greeks. All Greek coins were handmade, rather than machined as modern coins are. The design for the obverse was carved (in incuso) into a block of bronze or possibly iron, called a die. The design of the reverse was carved into a similar punch. A blank disk of gold, silver, or electrum was cast in a mold and then, placed between these two and the punch struck hard with a hammer, raising the design on both sides of the coin. Coins of Greek city-states depicted a unique symbol or feature, an early form of emblem, also known as badge in numismatics, that represented their city and promoted the prestige of their state. Corinthian stater for example depicted pegasus the mythological winged stallion, tamed by their hero Bellerophon. Coins of Ephesus depicted the bee sacred to Artemis. Drachmas of Athens depicted the owl of Athena. Drachmas of Aegina depicted a chelone. Coins of Selinunte depicted a "selinon" (σέλινον - celery). Coins of Heraclea depicted Heracles. Coins of Gela depicted a man-headed bull, the personification of the river Gela. Coins of Rhodes depicted a "rhodon" (ῥόδον - rose). Coins of Knossos depicted the labyrinth or the mythical creature minotaur, a symbol of the Minoan Crete. Coins of Melos depicted a "mēlon" (μήλον - apple). Coins of Thebes depicted a Boeotian shield. Collections of ancient Greek coins are held by museums around the world, of which the collections of the British Museum, the American Numismatic Society, and the Danish National Museum are considered to be the finest. The American Numismatic Society collection comprises some 100,000 ancient Greek coins from many regions and mints, from Spain and North Africa to Afghanistan. To varying degrees, these coins are available for study by academics and researchers. There is also an active collector market for Greek coins. Several auction houses in Europe and the United States specialize in ancient coins (including Greek) and there is also a large on-line market for such coins. Hoards of Greek coins are still being found in Europe, Middle East, and North Africa, and some of the coins in these hoards find their way onto the market. Due to the numbers in which they were produced, the durability of the metals, and the ancient practice of burying large numbers of coins to save them, coins are an ancient art within the reach of ordinary collectors. ^ "Obol". Retrieved 8 September 2014. ^ a b American Numismatic Society (1916). American Journal of Numismatics. 49-50. American Numismatic and Archaeological Society. ^ a b Kurke, Leslie (1999). Coins, Bodies, Games, and Gold: The Politics of Meaning in Archaic Greece. Princeton University Press. pp. 6–7. ISBN 0691007365. ^ a b Metcalf, William E. (2016). The Oxford Handbook of Greek and Roman Coinage. Oxford University Press. pp. 49–50. ISBN 9780199372188. ^ a b Kagan, Jonathan. Archaic Greek coins East of the Tigris. pp. 230–234. ^ CNG: ISLANDS off ATTICA, Aegina. Circa 510-490 BC. AR Stater (20mm, 11.73 g). ^ "The 1933 Cabul hoard pub-lished by Schlumberger consisted of over 115 coins, with signiﬁcant overlap with the Malayer hoard. Athens again is the largest group, with 33 recorded tetradrachms compared to eight sigloi. 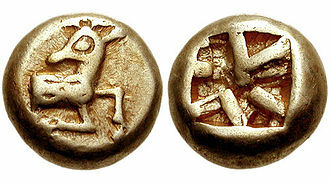 In addition to the worn archaic stater of Aegina, a fragmentary stater of Thasos and a worn Chiot stater may be archaic. There are two well-preserved early classical tetradrachms from Acanthus and an early classical stater of Corcyra. Again there is a signiﬁcant Levantine component represented by coins from Pamphylia, Cilicia and Cyprus, though nothing from Phoenicia. The early Cilician coins probably date the hoard slightly later than the Malayer hoard." in Kagan, Jonathan. ARCHAIC GREEK COINS EAST OF THE TIGRIS. p. 230. ^ "Bruttium - Ancient Greek Coins - WildWinds". Retrieved 8 September 2014. ^ "Lucania - Ancient Greek Coins - WildWinds.com". Retrieved 8 September 2014. Head, Barclay V. (1911), Historia Numorum; A Manual of Greek Numismatics, Oxford: Clarendon Press. Hill, George Francis (1906), Historical Greek Coins, London : Archibald Constable and Co.
Kraay, Colin M. (1976), Archaic and Classical Greek Coins, New York: Sanford J. Durst, ISBN 0-915262-75-4. Melville Jones, John R, 'A Dictionary of Ancient Greek Coins', London, Seaby 1986, reprinted Spink 2004. Melville Jones, John R, Testimonia Numaria. Greek and Latin texts concerning Ancient Greek Coinage, 2 vols (1993 and 2007), London, Spink, 0-907-05-40-0 and 978-1-902040-81-3. Ramage, Andrew and Craddock, Paul (2000), King Croesus' Gold; Excavations at Sardis and the History of Gold Refining, Trustees of the British Museum, ISBN 0-7141-0888-X. Rutter N. K, Burnett A. M, Crawford M. H, Johnston A. E.M, Jessop Price M (2001), Historia Numorum Italy, London: The British Museum Press, ISBN 0-7141-1801-X. Sayles, Wayne G, Ancient Coin Collecting, Iola, Wisconsin : Krause Publications, 2003. Sayles, Wayne G, Ancient Coin Collecting II: Numismatic Art of the Greek World", Iola, Wisconsin : Krause Publications, 2007. Seaford, Richard (2004), 'Money and the Early Greek Mind; Homer, Philosophy, Tragedy', Cambridge: Cambridge University Press, ISBN 978-0-521-53992-0. Sear, David, "Greek Coins and Their Values: Volume 2" London: Spink. Seltman, Charles (1933), Greek Coins, London: Methuen & Co, Ltd.
Seltman, Charles, Masterpieces of Greek Coinage, Bruno Cassirer - Oxford, 1949. Wikimedia Commons has media related to Ancient Greek coinage. ACSearch.info: A large database of coins previously sold at auction - includes images and prices, this site is free. http://coinproject.com/greek_list.php?type=1: A large database of Greek coin types and the most complete list of cities which struck Greek coins. Cornell Collection of Antiquities, Coins Collection. Gold, silver and bronze coins from ancient Greece. 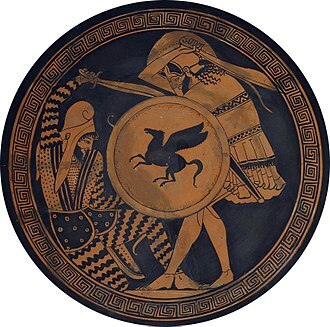 The Greco-Persian Wars were a series of conflicts between the Achaemenid Empire of Persia and Greek city-states that started in 499 BC and lasted until 449 BC. The collision between the political world of the Greeks and the enormous empire of the Persians began when Cyrus the Great conquered the Greek-inhabited region of Ionia in 547 BC. Struggling to rule the cities of Ionia, the Persians appointed tyrants to rule each of them. This would prove to be the source of trouble for the Greeks. 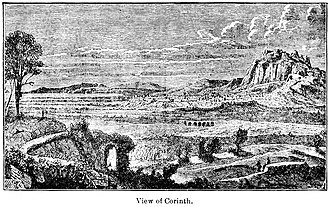 This was the beginning of the Ionian Revolt, which would last until 493 BC, Aristagoras secured military support from Athens and Eretria, and in 498 BC these forces helped to capture and burn the Persian regional capital of Sardis. The Persian king Darius the Great vowed to have revenge on Athens, the revolt continued, with the two sides effectively stalemated throughout 497–495 BC. 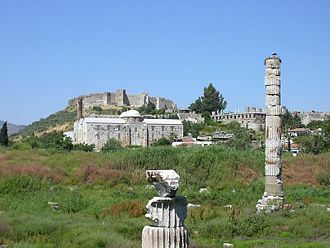 In 494 BC, the Persians regrouped, and attacked the epicentre of the revolt in Miletus, at the Battle of Lade, the Ionians suffered a decisive defeat, and the rebellion collapsed, with the final members being stamped out the following year. In 490 BC a second force was sent to Greece, this time across the Aegean Sea, under the command of Datis and this expedition subjugated the Cyclades, before besieging and razing Eretria. However, while en route to attack Athens, the Persian force was defeated by the Athenians at the Battle of Marathon. Darius began to plan to completely conquer Greece, but died in 486 BC, in 480 BC, Xerxes personally led the second Persian invasion of Greece with one of the largest ancient armies ever assembled. Victory over the allied Greek states at the famous Battle of Thermopylae allowed the Persians to torch an evacuated Athens, while seeking to destroy the combined Greek fleet, the Persians suffered a severe defeat at the Battle of Salamis. The following year, the confederated Greeks went on the offensive, defeating the Persian army at the Battle of Plataea, the allied Greeks followed up their success by destroying the rest of the Persian fleet at the Battle of Mycale, before expelling Persian garrisons from Sestos and Byzantium. Croesus was the king of Lydia who, according to Herodotus, reigned for 14 years, from 560 BC until his defeat by the Persian king Cyrus the Great in 546 BC. Croesus was renowned for his wealth and Pausanias noted that his gifts were preserved at Delphi, the fall of Croesus made a profound impact on the Greeks, providing a fixed point in their calendar. By the fifth century at least, J. A. S, evans has remarked, Croesus had become a figure of myth, who stood outside the conventional restraints of chronology.1, and Ctesias, whose account is an encomium of Cyrus. Croesus is a descendant of Gyges, of the Myrmnadae Clan, born about 595 BC, Croesus received tribute from the Ionian Greeks but was friendlier to the Hellenes than his father had been. Croesus is credited with issuing the first true gold coins with a standardised purity for general circulation, they were quite crude, and were made of electrum, a naturally occurring pale yellow alloy of gold and silver. The composition of these first coins was similar to alluvial deposits found in the silt of the Pactolus river, including some in the British Museum, were made from gold purified by heating with common salt to remove the silver. King Croesus gold coins follow the first silver coins that had been minted by King Pheidon of Argos around 700 BC, in Greek and Persian cultures the name of Croesus became a synonym for a wealthy man. Croesus wealth remained proverbial beyond classical antiquity, in English, expressions such as rich as Croesus or richer than Croesus are used to great wealth to this day. According to Herodotus, Croesus encountered the Greek sage Solon and showed him his enormous wealth, Solon goes on to explain that Croesus cannot be the happiest man because the fickleness of fortune means that the happiness of a mans life cannot be judged until after his death. The interview is in the nature of a philosophical disquisition on the subject Which man is happy and it is legendary rather than historical. Thus the happiness of Croesus is presented as an exemplum of the fickleness of Tyche. The story was retold and elaborated by Ausonius in The Masque of the Seven Sages, in the Suda. According to Herodotus, Croesus desired to discover which of the well known oracles of his time gave trustworthy omens. Three modern Greek currencies, the first introduced in 1832 and the last replaced by the euro in 2001. The euro did not begin circulating until 2002 but the rate was fixed on 19 June 2000. It was a unit of weight. The name drachma is derived from the verb δράσσομαι and it is believed that the same word with the meaning of handful or handle is found in Linear B tablets of the Mycenean Pylos. Initially a drachma was a fistful of six oboloí or obeloí used as a form of currency as early as 1100 BC and being a form of bullion, copper, a hoard of over 150 rod-shaped obeloi was uncovered at Heraion of Argos in Peloponnese. Six of them are displayed at the Numismatic Museum of Athens and it was the standard unit of silver coinage at most ancient Greek mints, and the name obol was used to describe a coin that was one-sixth of a drachma. Similar information about Pheidons obeloi was recorded at the Parian Chronicle, ancient Greek coins normally had distinctive names in daily use. The Athenian tetradrachm was called owl, the Aeginetic stater was called chelone, the exact exchange value of each was determined by the quantity and quality of the metal, which reflected on the reputation of each mint. The 5th century BC Athenian tetradrachm coin was perhaps the most widely used coin in the Greek world prior to the time of Alexander the Great and it featured the helmeted profile bust of Athena on the obverse and an owl on the reverse. In daily use they were called γλαῦκες glaukes, hence the proverb Γλαῦκ’ Ἀθήναζε, the reverse is featured on the national side of the modern Greek 1 euro coin. Drachmae were minted on different weight standards at different Greek mints, the standard that came to be most commonly used was the Athenian or Attic one, which weighed a little over 4.3 grams. The Armenian dram derives its name from the drachma. S, modern commentators derived from Xenophon that half a drachma per day would provide a comfortable subsistence for the poor citizens. Earlier in 422 BC, we see in Aristophanes that the daily half-drachma of a juror is just enough for the daily subsistence of a family of three. Fractions and multiples of the drachma were minted by many states, most notably in Ptolemaic Egypt, notable Ptolemaic coins included the gold pentadrachm and octadrachm, and silver tetradrachm and pentakaidecadrachm. This method is generally used for cooking large joints of meat or entire animals, such as pigs or turkeys. The rotation cooks the meat evenly in its own juices and allows access for continuous self-basting. In medieval and early modern kitchens, the spit was the way of cooking meat in a large household. A servant, preferably a boy, sat near the turning the metal rod slowly and cooking the food. Mechanical turnspits were invented, first powered by dogs on treadmills, the spit could be powered by a turbine mounted in the chimney with a worm transmission for torque and speed conversion. Spits are now driven by electric motors. Rotisserie can refer to a device used for rotisserie cooking. The word comes from French where it first appeared in Paris shops around 1450, additionally, in restaurants employing the Escoffierian brigade de cuisine, the rotisseur is the chef responsible for all spit-roasted, oven roasted, grilled and in some cases fried foods. It is commonly known in Latin America as A la brasa and this style mounts the spit horizontally. They are often used to cook whole chickens or roasts of various meats including beef, the design may include a single spit mounted over an open broiler or grill, a single spit mounted within an otherwise-conventional oven, or many spits mounted within a large industrial oven. The latter are used to mass-produce roasted meats for sale to consumers. In this style of rotisserie, balance is important, if the object to be cooked is far out of balance, it will impose a heavy load on the drive mechanism or cause the mechanism to fail to turn. Loose chicken legs or wings can cause the mechanism to jam. For these two reasons, some skewering skill is required, high-end consumer ovens commonly come with a rotisserie. In these cases, the drive mechanism is usually concealed within the oven. The rotisserie is used by removing the normal cooking racks, a carrier may be needed to provide one or both bearing points for the spit. The speed of rotation can vary, depending on the type of food being cooked, large animals, such as whole pigs, are often cooked at speeds ranging from 3 rpm to 1 rpm. Alexander III of Macedon, commonly known as Alexander the Great, was a king of the Ancient Greek kingdom of Macedon and a member of the Argead dynasty. He was born in Pella in 356 BC and succeeded his father Philip II to the throne at the age of twenty and he was undefeated in battle and is widely considered one of historys most successful military commanders. During his youth, Alexander was tutored by Aristotle until the age of 16, after Philips assassination in 336 BC, he succeeded his father to the throne and inherited a strong kingdom and an experienced army. Alexander was awarded the generalship of Greece and used this authority to launch his fathers Panhellenic project to lead the Greeks in the conquest of Persia, in 334 BC, he invaded the Achaemenid Empire and began a series of campaigns that lasted ten years. Following the conquest of Anatolia, Alexander broke the power of Persia in a series of battles, most notably the battles of Issus. He subsequently overthrew Persian King Darius III and conquered the Achaemenid Empire in its entirety, at that point, his empire stretched from the Adriatic Sea to the Indus River. He sought to reach the ends of the world and the Great Outer Sea and invaded India in 326 BC and he eventually turned back at the demand of his homesick troops. Alexander died in Babylon in 323 BC, the city that he planned to establish as his capital, without executing a series of planned campaigns that would have begun with an invasion of Arabia. In the years following his death, a series of civil wars tore his empire apart, resulting in the establishment of several states ruled by the Diadochi, Alexanders surviving generals, Alexanders legacy includes the cultural diffusion which his conquests engendered, such as Greco-Buddhism. He founded some twenty cities that bore his name, most notably Alexandria in Egypt, Alexander became legendary as a classical hero in the mold of Achilles, and he features prominently in the history and mythic traditions of both Greek and non-Greek cultures. 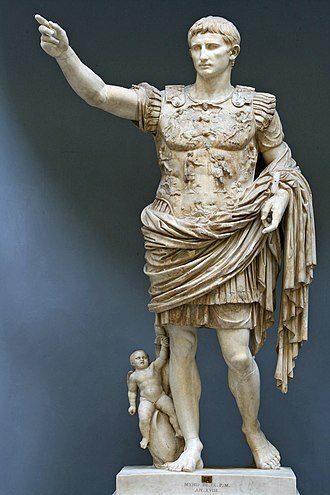 He became the measure against which military leaders compared themselves, and he is often ranked among the most influential people in human history. The stater was an ancient coin used in various regions of Greece. The term is used for similar coins, imitating Greek staters. The stater, as a Greek silver currency, first as ingots, the earliest known stamped stater is an electrum turtle coin, struck at Aegina that dates to about 700 BC. It is on display at the Bibliothèque Nationale of Paris, the silver stater minted at Corinth of 8.6 grams weight was divided into three silver drachmas of 2.9 grams, but was often linked to the Athenian silver didrachm coin weighing 8.6 grams. In comparison, the Athenian silver tetradrachm was weighing 17.2 grams. There existed a gold stater, but it was minted in some places, and was mainly an accounting unit worth 20–28 drachmas depending on place and time. 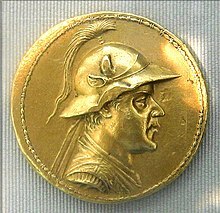 The use of gold staters in coinage seems mostly of Macedonian origin, the best known types of Greek gold staters are the 28 drachmas Kyzikenos from Cyzicus. Celtic tribes brought the concept to Western and Central Europe after obtaining it while serving as mercenaries in north Greece. Roman provincial currency was coinage minted within the Roman Empire by local civic rather than imperial authorities. These coins were often continuations of the original currencies that existed prior to the arrival of the Romans, when a new region was assimilated into Roman civilization, the continuance of pre-existing local currencies was often allowed as a matter of expediency. Also, new colonies were given authority to mint bronze coins. These provincial currencies were used by the local inhabitants only for local trade – as their intrinsic values were usually much lower than Roman imperial coinage. Provincial coins were issued in silver and bronze denominations and billon coins were more common in the Eastern regions of the Empire, particularly Alexandria. In general, the issuance of coinage was controlled by Rome. That gave the government a measure of control and influence throughout the empire. Some coins that circulated in the parts of the empire may have been minted at the mint of Rome. The Heraion of Argos is an ancient temple in Argos, Greece. It was part of the greatest sanctuary in the Argolid, dedicated to Hera, Hera herself claims to be the protector of Argos in Iliad IV, 50–52), The three towns I love best are Argos and Mycenae of the broad streets. The memory was preserved at Argos of an archaic, aniconic pillar representation of the Great Goddess. 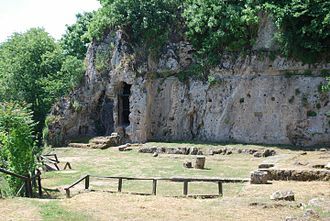 The site, which mark the introduction of the cult of Hera in mainland Greece. The traveller Pausanias, visiting the site in the 2nd century CE, the temenos occupies three artificially terraced levels on a site above the plain with a commanding view. 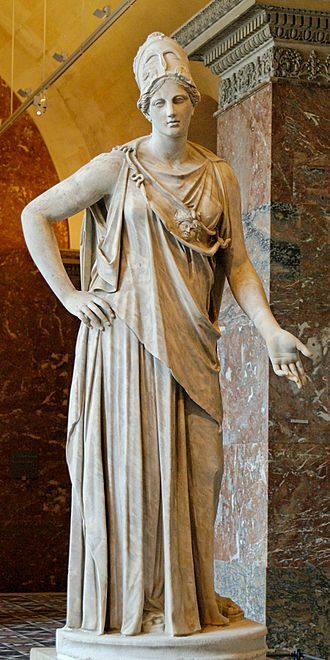 The Old Temple, destroyed by fire in 423 BCE, the famous ivory and gold-plated bronze sculpture of Hera by Polykleitos stood in the New Temple on the middle terrace, built by Eupolemos of Argos following the fire. There were other structures, one of which was the earliest example of a building with a peristyle court. The lowest level supports the remains of a stoa, ancient retaining walls support the flat terraces. Ephesus was an ancient Greek city on the coast of Ionia, three kilometres southwest of present-day Selçuk in İzmir Province, Turkey. It was built in the 10th century BC on the site of the former Arzawan capital by Attic, during the Classical Greek era it was one of the twelve cities of the Ionian League. 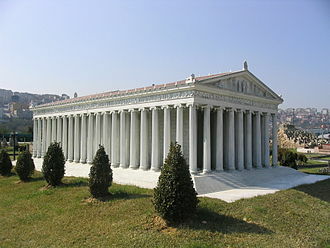 The city flourished after it came under the control of the Roman Republic in 129 BC, the city was famed for the nearby Temple of Artemis, one of the Seven Wonders of the Ancient World. Among many other buildings are the Library of Celsus. Ephesus was one of the seven churches of Asia that are cited in the Book of Revelation, the Gospel of John may have been written here. The city was the site of several 5th century Christian Councils, the city was destroyed by the Goths in 263, and although rebuilt, the citys importance as a commercial centre declined as the harbour was slowly silted up by the Küçükmenderes River. 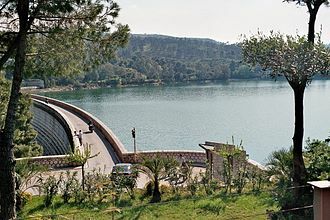 It was partially destroyed by an earthquake in 614 AD, the area surrounding Ephesus was already inhabited during the Neolithic Age, as was revealed by excavations at the nearby höyük of Arvalya and Cukurici. 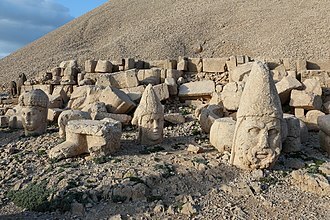 Excavations in recent years have unearthed settlements from the early Bronze Age at Ayasuluk Hill, according to Hittite sources, the capital of the Kingdom of Arzawa was Apasa. Some scholars suggest that this is the Greek Ephesus, in 1954, a burial ground from the Mycenaean era with ceramic pots was discovered close to the ruins of the basilica of St. John. This was the period of the Mycenaean Expansion when the Achaioi settled in Asia Minor during the 14th and 13th centuries BC, Ephesus was founded as an Attic-Ionian colony in the 10th century BC on the Ayasuluk Hill, three kilometers from the centre of ancient Ephesus. 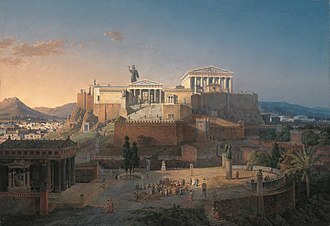 The mythical founder of the city was a prince of Athens named Androklos, according to the legend, he founded Ephesus on the place where the oracle of Delphi became reality. Androklos drove away most of the native Carian and Lelegian inhabitants of the city and he was a successful warrior, and as a king he was able to join the twelve cities of Ionia together into the Ionian League. The dram was originally both a coin and a weight in ancient Greece. It refers to a unit of mass in the avoirdupois system, the unit of volume is more correctly called a fluid dram, fluid drachm, fluidram or fluidrachm. The Attic Greek drachma was a weight of 6 obols, 1⁄100 Greek mina, the Roman drachma was a weight of 1⁄96 Roman pounds, or about 3.41 grams. A coin weighing one drachma is known as a stater, the Ottoman dirhem was based on the Sassanian drachm, which was itself based on the Roman dram/drachm. The British Weights and Measures Act of 1878 introduced verification and consequent stamping of apothecary weights, making them officially recognized units of measurement.5 grains, the dram weighs 875⁄32 grains, or exactly 1.7718451953125 grams. In the apothecaries system, which was used in the United States until the middle of the 20th century. The dram apothecaries is equal to 3 scruples or 60 grains, Dram is used as a measure of the powder charge in a shotgun shell, representing the equivalent of black powder in drams avoirdupois. However, by 1876 the teaspoon had grown larger than it was previously. As there are 60 minims in a dram, using this equivalent for the dosage of medicine was no longer suitable. Todays US teaspoon is equivalent to exactly 1⁄6 US fluid ounces, 1 1⁄3 US fluid drams, while pharmaceuticals are measured nowadays exclusively in metric units, fluid drams are still used to measure the capacity of pill containers. Dram is used informally to mean a small amount of spirituous liquor, the unit is referenced by the phrase dram shop, the US legal term for an establishment that serves alcoholic beverages. The line Whered you get your whiskey, whered you get your dram, appears in some versions of the traditional pre-Civil War American song Cindy. In Monty Pythons song entitled The Bruces Philosophers Song there is the following line, in the old-time music tradition of the United States, there is a tune entitled Give the Fiddler a Dram. In the episode Double Indecency of the TV series Archer the character Cheryl/Carol was carrying around 10 drams of Voles blood, appendix C – General Tables of Units of Measurement in Specifications and Other Technical Requirements for Weighing and Measuring Devices. Cyme was an Aeolian city in Aeolis close to the kingdom of Lydia. The Aeolians regarded Cyme as the largest and most important of their twelve cities, as a result of their direct access to the sea, unlike most non-landlocked settlements of the ancient world, trade is believed to have prospered. Archaeological finds such as coins give reference to a river, little is known about the foundation of the city to supplement the traditional founding legend. The Cymeans were ridiculed as a people who had for three hundred years lived on the coast and not once exacted harbor taxes on ships making port, hesiod’s father is said to have started his journey across the Aegean from Cyme. By the 5th century BC, Cyme was one of the 12 established Ionian colonies in Aeolis, Herodotus mentions that one of the esteemed voters deciding whether or not to support Militiades the Athenian in his plan to liberate the Ionian Coast from Persian rule in was Aristagoras of Cyme. Cyme eventually came under the control of the Persian Empire following the collapse of the Lydian Kingdom at the hands of Cyrus the Great. 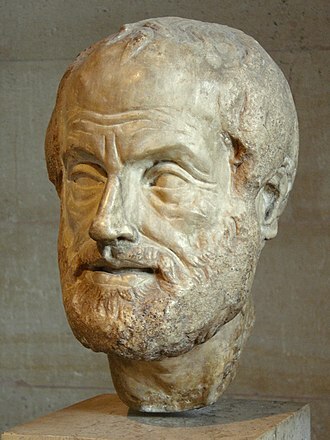 Herodotus is the source for this period in Greek history and has paid a great deal of attention to events taking place in Ionia. When Pactyes, the Lydian general, sought refuge in Cyme from the Persians the citizens were between a rock and a hard place, as Herodotus records, they consulted the Greek god Apollo, who said after much confusion through an oracle that he should be handed over. The messengers returned home to report, and the citizens of Cyme were prepared in consequence to give up the wanted man, after the Persian naval defeat at Salamis, Xerxes moored the surviving ships at Cyme. Before 480 BC, Cyme had been the naval base for the Royal Fleet. Later accounts of Cymes involvement in the Ionian Revolt which triggered the Persian Wars confirm their allegiance to the Ionian Greek cause. During this time, Herodotus states that due to the size of the Persian army, the third army which he sent north to take Sardis was under the command of his son-in-law Otanes who promptly captured Cyme and Clazomenae in the process. Mattei Athena at Louvre. Roman copy from the 1st century BC/AD after a Greek original of the 4th century BC, attributed to Cephisodotos or Euphranor. The gymnasium and palaestra at Olympia, the site of the ancient Olympic games. The Archaic period conventionally dates from the first Olympiad. Relief with Heroes and Worshipers, circa 540 BC, Chrysapha (east of Sparta). The Sabouroff head, an important example of Late Archaic Greek marble sculpture, and a precussor of true portraiture, ca. 550-525 BCE. 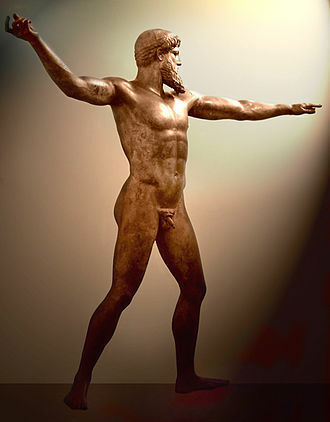 Artemision Bronze, thought to be either Poseidon or Zeus, c. 460 BC, National Archaeological Museum, Athens. Found by fishermen off the coast of Cape Artemisium in 1928. The figure is more than 2 m in height. Hellenistic Greek tomb door bas relief, Leeds City Museum. Philip V, "the darling of Hellas", wearing the royal diadem. Coinage of Athens at the time of Cleisthenes. Effigy of Athena, with owl and ΑΘΕ, initials of "Athens". Circa 510-500/490 BC. The Macedonian phalanx at the "Battle of the Carts" against the Thracians in 335 BC. View from Anavyssos, looking south-east towards Palaia Fokaia. The Temple of Poseidon (c.440 BC) at Cape Sounion, the southernmost point of Attica. Apollo Temple has been built in Doric style on the ruins of earlier temple, being a good example of peripteral temple, supported by 38 columns, 7 of which are still in place. Archeological site located close to Temple of Apollo. Archeological site of Ancient Theater first built in Corinth in 5th c. BC. 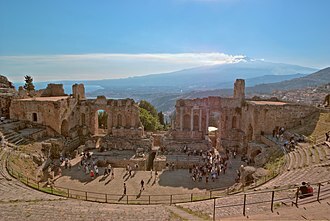 The Theater could seat around 15000 spectators. 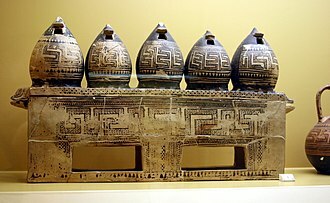 Six rod-shaped obols discovered at the Heraion of Argos (above). Six obols forming one drachma. Silver Obol of Athens, dated 515-510 BC. Obv. Gorgoneion Rev. Incuse square. Charon's obol. 5th-1st century BC. An obol of the Greco-Bactrian king Demetrius, 12 mm in diameter. Geometric-style box in the shape of a barn. 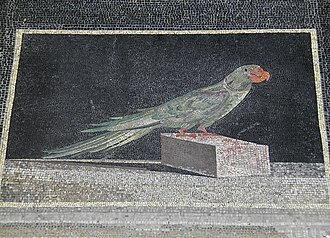 On display in the Ancient Agora Museum in Athens, housed in the Stoa of Attalus. From early geometric cremation burial of a pregnant wealthy woman, 850 BC. 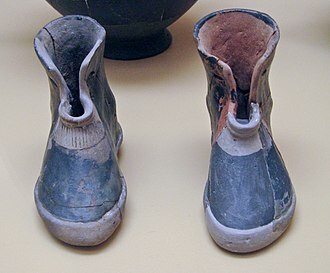 Ancient Greek pair of terracotta boots. Early geometric period cremation burial of a woman, 900 BC. Ancient Agora Museum in Athens. Pylon of the Temple of Luxor with the remaining obelisk (of two) in front (the second is in the Place de la Concorde in Paris). Obelisk of Pharaoh Senusret I, Al-Maalla area of Al-Matariyyah district in modern Heliopolis. 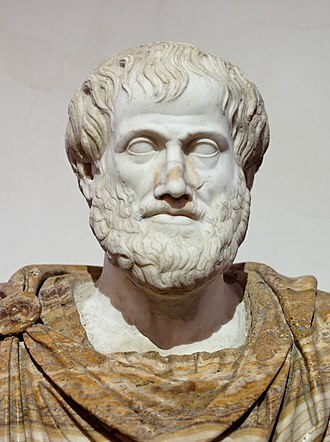 Aristotle argued that a capability like playing the flute could be acquired – the potential made actual – by learning. 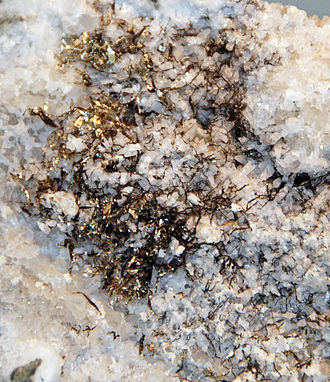 Natural Electrum "wires" on quartz, historic specimen from the old Smuggler-Union Mine, Telluride, Colorado, USA. The Pactolus river, from which Lydia obtained electrum for its early coinage. Electrum coin of the Byzantine Emperor Alexius I Comnenus. One of the earliest electrum coins struck in Ephesus, 620–600 BC. Obverse: Forepart of stag. Reverse: Square incuse punch. Statue of a young woman; late Hellenistic, 1st century BC, Cyme (Namurt). Mural of aurochs, a deer, and humans in Çatalhöyük, which is the largest and best-preserved Neolithic site found to date. It was registered as a UNESCO World Heritage Site in 2012. 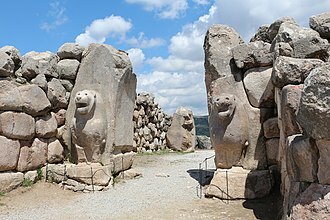 The Lion Gate at Hattusa, capital of the Hittite Empire. 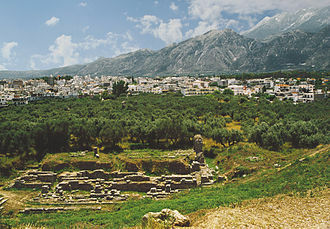 The city's history dates to before 2000 BC. Portrait of an Achaemenid Satrap of Asia Minor (Heraclea, in Bithynia), end of 6th century BCE, probably under Darius I. View from the Heraion of Argos into the Inachos plain. Early Athenian coin, 5th century BC. British Museum. The modern National Academy in Athens, with Apollo and Athena on their columns, and Socrates and Plato seated in front. Lydian Empire circa 600 BC. Portrait of Croesus, last King of Lydia, Attic red-figure amphora, painted ca. 500–490 BC. Bin Tepe royal funeral tumulus (tomb of Alyattes, father of Croesus), Lydia, 6th century BC. Aesop in front of Croesus. Croesus showing his treasures to Solon. Frans Francken the Younger, 17th century. Gold Croeseid, circa 561-546 BCE. Heavy series: 10.76 grams, Sardes mint. Coin of Alyattes in electrum, 620-563 BCE. Legend Walwel ("Alyattes") in Lydian script. Type II Daric ("King shooting arrow") temp. Darios I to Xerxes I. Circa 505-480 BC. There are no Type I coins known in Darics (only in Sigloi). 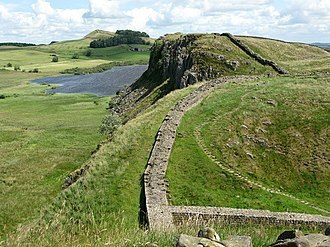 Same view but rotated more to the northern side of the ruins.